Louis Cruises’ parent company, the Louis Group, was created in 1935. The founder of the company, Louis Loizou, established the first travel agency on the island of Cyprus, introducing tourists to the destination. His vision earned him the title of Father of Cyprus Tourism. Today, his son, Costakis Loizou, carries on the Louis tradition as executive chairman. The Louis Group employs 5,000 people who provide service to tens of thousands of travelers around the world. The company operates the largest destination management company on Cyprus, with 45 motor coaches. In addition to its cruise division, Louis Group also owns and operates 19 hotels in Greece and Cyprus. We sat down with Nicholas Filippidis, director of product development for North America for Louis Cruises, during a seven-day Aegean itinerary that sailed roundtrip from Piraeus, with calls at Greece’s Mykonos, Samos, Milos, Lavrion, Syros, Kos, Ios and Santorini; and Turkey’s Kusadasi, Cesme and Bodrum. TravelPulse: What are the unique elements of a Louis cruise? 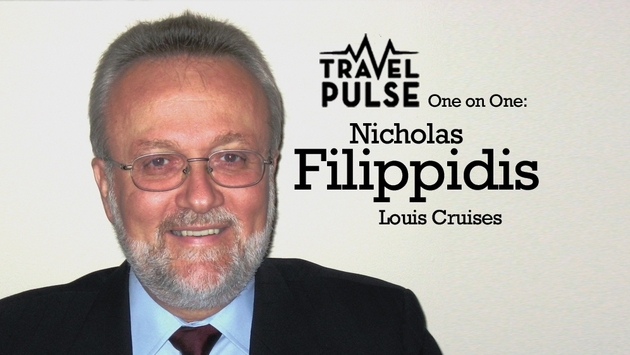 Nicholas Filippidis: Unmatched cruise itineraries rich in history and culture, genuine Hellenic hospitality and value for money are the key pillars of Louis Cruises. We offer a cultural experience, combining authentic Greek cuisine, onboard entertainment and themed cruises that showcase our Hellenic identity and enhance the overall destination-focused Mediterranean cruise experience. Besides the iconic Greek destinations we have offered for many years – such as Mykonos, Santorini, Rhodes and Crete – we have added fascinating new ports of call. There are more than 3,000 Greek islands, about 150 of them which are inhabited – so why stick to the same islands? This is why we introduced our new Idyllic cruise itineraries roundtrip from Piraeus or Lavrion, which include calls at lesser-known Greek island gems such as Ios, Kos, Milos, Samos and Syros. TP: How flexible are your cruises? NF: Our cruises are extremely flexible, letting passengers disembark in ports for hotel stays and enabling them to rejoin the ship a few days later. For instance, you can disembark in Mykonos and spend three or four nights there at such beautiful hotels as the Mykonos Theoxenia, which is owned and operated by Louis Hotels. Travelers can then re-embark the ship for three- or four-day cruise experiences. Passengers can also embark on cruises from Rhodes, Crete and Kusadasi. They can can combine a couple of nights in Istanbul and take our seven-day Iconic Greek Islands cruise, roundtrip from Istanbul. For a more in-depth exploration of Greece and Turkey, our passengers can also pick up this itinerary in Istanbul and enjoy a six-day cruise, then disembark in Athens. Ports include Kusadasi and Greece’s Santorini, Crete, Rhodes, Symi, Chios and Mykonos. TP: What’s new in terms of itineraries? NF: We introduced themed cruises this year. Out of 120 departures, 62 of them are themed. In 2015 the number of themed cruises will increase to 64. Next year we are adding 12 new Ionian (western Greece), Adriatic and Dalmatian Coast ports of call. There are two seven-day Peloponnese & Ionian Sea itineraries in October: the Idyllic Ionian Sea and Adriatic, and the Ionian Sea and Peloponnese. The Adriatic itinerary sails roundtrip from Bari, Italy, calling at Dubrovnik, Croatia; Kotor, Montenegro; Saranda, Albania; and Patras, Kefalonia and Corfu, Greece. Two Peloponnese itineraries sail between Athens and Bari, calling at the Greek islands of Nafplio, Monemvasia, Kalamata and Katakolo, for excursions to Olympia, Igoumenitsa, and Saranda. We will also repeat our Pilgrimage Voyage that is geared specifically for the religious market. This seven-day itinerary sails roundtrip from Athens and cruises Greece’s Thessaloniki, Kavala, Patmos and Syros, and Turkey’s Istanbul, Dikili and Kusadasi. We will offer the Idyllic Aegean itinerary again next year, but with a little tweaking. This year, the cruise docks in Bodrum from 10 p.m. to 4 a.m. and in Cesme for a half day. We decided instead of calling at Bodrum to spend a full day in Cesme, we would provide passengers with a way to see Ephesus for a half day. They can also visit Izmir, and then enjoy the rest of the day at one of the Turkish Riviera’s stylish beach clubs. We also created two seven-day Centenary Inauguration itineraries that commemorate the 100-year anniversary of the Gallipoli affair during the World War I in April. As of this past winter, Cuba has been added to regions of operation via Cuba Cruise, a Canadian company, onboard Louis Cristal. It is a niche product designed to offer circumnavigation of the island, visiting amazing ports of call in Cuba and including a call in Jamaica as well. The Canada and international markets have been marketing this unique air/land and cruise itinerary aggressively. The American market, however, can only purchase the product through tour operators licensed by the Office of Foreign Assets Control. TP: How big is the fleet and are there any plans to expand it? NF: The fleet has five cruise vessels right now, including the Louis Cristal and the Louis Olympia. Three of our vessels are under long-term charters. Two are chartered to Thomson Vacations: the former Louis Majesty, which sails as Thomson Majesty, and the former Louis Spirit, which is called Thomson Spirit. Louis Aura is chartered to France-based Rivages du Monde. We’re looking for a purchase for 2016, and the addition of two more cruise ships in 2018. TP: What’s your demographic breakdown in terms of passengers? NF: We target people who are looking for cultural destination experiences. In the past, our passengers were all seasoned cruisers who had done the Caribbean and Alaska and were looking for something a little bit more sophisticated and enriching. Now we’re also getting a lot of first timers who buy tour packages that incorporate a Louis cruise. The average household income of our passengers is typically more than $100,000. The average age has dropped. A few years back it was 70 years old. Now we’re in the low 50s. TP: How much of your business comes from North America? NF: Around 35 percent of our business is from North America. The rest of it is a mix of clientele that includes travelers from Europe, South America, Australia and Asia. At any given time, 60 to 65 percent of our passengers are English speaking. TP: How agent friendly is Louis Cruises? NF: We consider travel agents our partners. We do not pursue consumer direct business. In the past, the bulk of our business was booked through tour operators – but since last year Louis Cruises has incorporated more direct outreach to the travel agent community. The first step was for us to become preferred with host agencies and consortia. One of the reasons we changed our approach was to offer agents the one-stop service that they’re searching for, as well as more options for their clients. We’re definitely not trying to undercut our tour operators – we’re just going to make sure that we fill our cruise ships by introducing more options for the established travel agent network. Travel agents earn commissions not only on the cruise fare but also on presold shore excursions and all inclusive drink packages. In addition, their clients receive a discount if those additional services are purchased pre cruise. 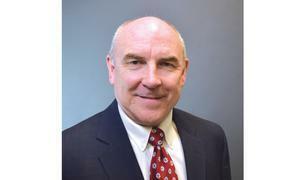 It is a win-win scenario for both travel agents and their clients. We’ve created some very attractive land/cruise packages with pre/post cruise stays in Greece or Turkey, and we’re getting a lot of traction and interest on the part of agents. Agents can register online to become preferred Louis Cruises travel agents. TP: How’s business this year and next? NF: It’s excellent. Business is up by almost 20 percent, and we’re even experiencing a rush of group and FIT booking requests for 2016. Everything looks terrific.